1st person adventure shoot em up. When Santa is shot down over New Mexico it's up to Sgt. Jones to head in by air and track him down, taking out the persistent terrorist force preventing him from rescueing the most important person in the world along the way. With literally minutes of Santa's life at stake it's time to take up your side-arm and fend off the foes in this advent adventure before Christmas is ruined for everyone! 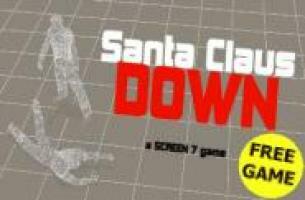 "A fun and violent christmas adventure, Santa Claus Down has you fighting terrorists who have captured Santa. In spite of some unforgiving gun sequences and an interface that works against you at times, the game proves to be an enjoyable though short experience."